At first look something seemed a bit different than all the other bunnies I’ve amassed over the years. Definitely a different color tone to it and the fur seemed interspersed with longer hairs vs the more uniform patterns that usually come with my other sightings. Guessing deliberately, but this doe was not about to give me a good shooting angle putting herself in front of anything that would grab the Beast’s focus. At the time I didn’t think much of it and took a couple of shots fulfilling my golden rule of shooting anything that moves (and now to coin my brother’s term … and let Google sort ’em out hehehe). After a few minutes she decided this stupid human was not worth her time and headed back into the safety of the forest. I did get a final shot that answered the burning question on what was different. Assuming you spotted the size of those feet! Wow, was not expecting that and clearly the little detail that my subconscious had already picked up on. This prompted a quick trip to the library to figure out what this was (and by library I mean Google). 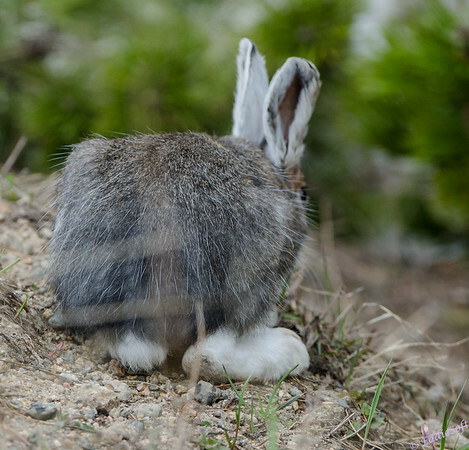 From my hours and hours of research (not the first lie I have made in this blog), I’ve decided this is a Snowshoe Hare. Yes, I am now kicking myself I was unable to get a crisp shot of this cutie. 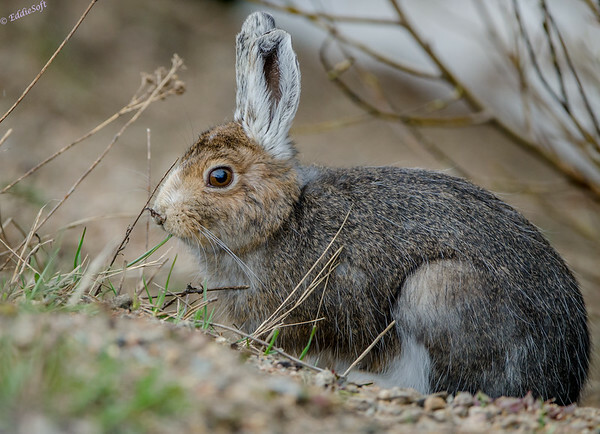 At least I am able to add it to my Hare species list! 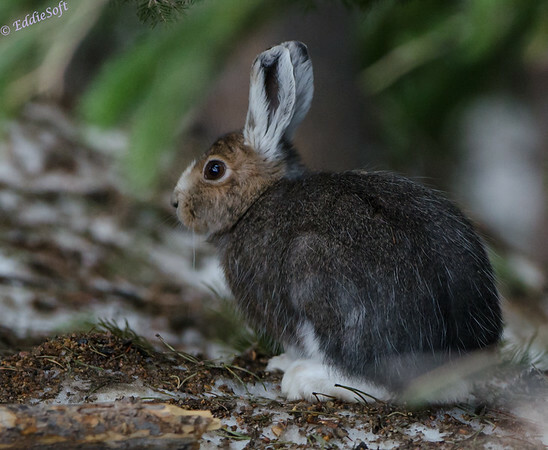 Check out my other bunny posts (link here, and here). Now to start deleting some hate mail hehehe.